The Flash is a super fast superhero and member of the Justice League. 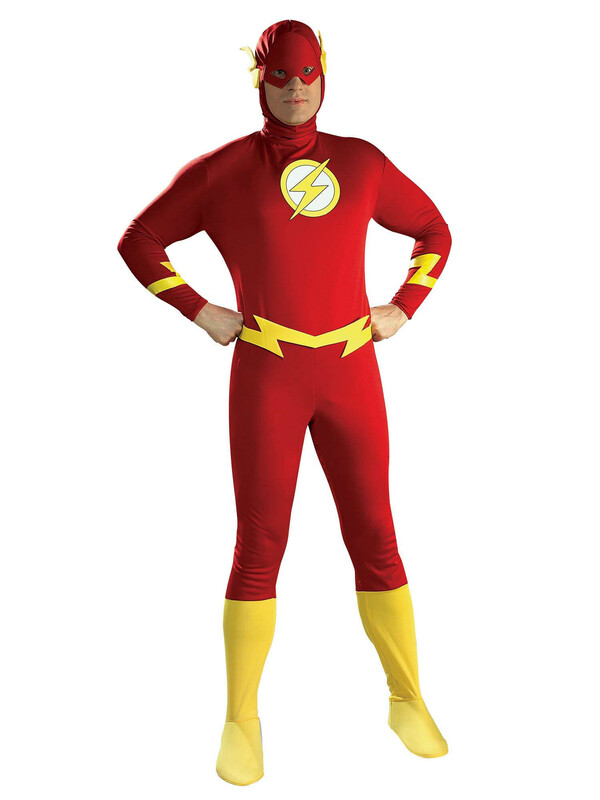 The Adult The Flash Costume is officially licensed by DC Comics and features a brilliant red jumpsuit with yellow detailing on the forearms and the Flash's logo on the chest. The red and yellow headpiece with mask, bright yellow boot tops, and yellow lightning bolt belt are also included.